Gary Earl Writsel, 72, of Greenfield, Ohio died Sunday, November 18, 2018, at 1:02 a.m. shortly after arrival at the Adena Greenfield Area Medical Center. His death was sudden and unexpected. Gary was born March 12, 1946, in Columbus, Ohio to Alvin Earl and Pauline Glaze Writsel, both of whom preceded him in death. He was a 1964 graduate of Miami Trace High School and received a Bachelor of Science degree in animal science from The Ohio State University. 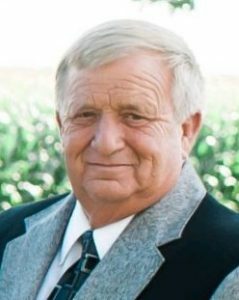 He was a lifelong farmer and a member of the Madison County Farm Bureau and the Sedalia Presbyterian Church. Gary is survived by his wife, the former Tammy McDonald whom he married July 3, 1992; children, Amy Gustin and her husband, Todd, of Washington Court House, Kami Writsel of Jeffersonville, Matthew Cook and his wife, Jenna, of Grove City, Ashley Reeves and her husband, Brad, of Mt. Sterling and Marissa Parsley and her husband, Don, of Jeffersonville; grandchildren, Megan (Seth) Winegar, Andrea (Bradey) Burns, Kevin Gustin, Cody Davis, Hannah Fout, Addison, Mackenzie and Drew Reeves, Ethan, Evan and Emily Parsley; two brothers and sisters-in-law, Gordon and Nancy Writsel and David and Elaine Writsel, all of New Holland; a sister, Marilyn Rodgers of San Diego, CA and a foster sister, Jean Ann Sage of Roseburg, OR. A gathering of family and friends will be held Saturday, December 1, 2018, from 1-4 p.m. at the barn on the family farm, 7540 Limes Road. Everyone is requested to wear Ohio State clothing. A celebration of life service will begin at 2 p.m. with Mell Wickensimer, director of visitation at the Grace United Methodist Church, officiating. Memorial contributions for a Miami Trace FFA scholarship may be made payable to Miami Trace Local Schools, 3818 State Route 41-NW, Washington Court House, Ohio 43160. Arrangements are under the direction of the Kirkpatrick Funeral Home in Washington Court House, Ohio 43160.